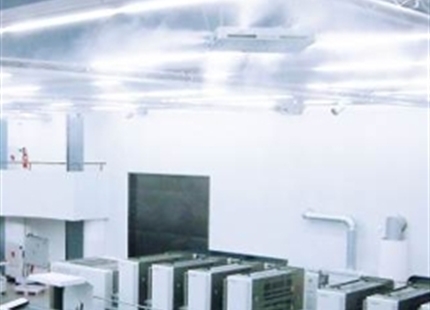 Added air humidification has significant importance in paper manufacturing and in paper processing Paper is a hygroscopic material and depending on the environment it will either absorb or release moisture. The plant fibre will either swell or shrink, depending on the relative humidity. When the humidity is too low the paper will warp to the shape of a "plate", if the humidity is too high, the edges will "ripple". Without controlled humidity significant problems can arise during printing, cutting, in further processing, finishing or during the production of packaging. Deviations of 8% to 10% in relative humidity in relation to the equilibrium moisture of the paper of 50% are considered critical limit values. Consequences of humidity that is too low are for example: Doubling, register differences, wrinkles. Electrostatic charge of the paper can be caused by friction and contact with other materials that is too close, followed by sudden separation. These charges happen especially when papers that are too dry are being processed at low humidity. The critical lower limits for paper moisture and ambient humidity are usually at 40% to 42%. Added air humidification also plays a significant role in paper manufacturing and the processing of cellulose: Electrostatics and dimensional changes can also disturb an uninterrupted flow of production. Furthermore, any dust created in the production process will be suppressed quicker. 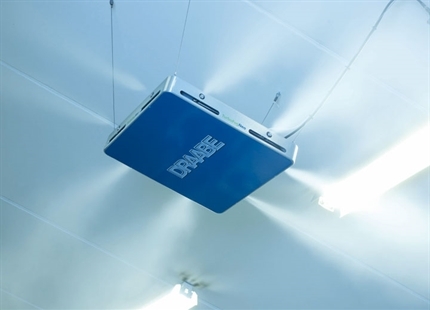 Summary of DRAABE air humdification benefits in the paper industry.